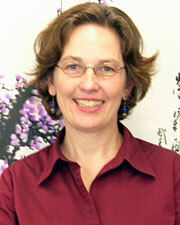 Sheree Willis was named the new director of the Confucius Institute during the summer of 2008. Before joining CEAS, she worked on China projects for the Center for International Business Education and Research (CIBER) and for the Office of Study Abroad. Sheree has also worked as a consultant and freelance Chinese-English interpreter and translator for over ten years. She was a Foreign Service Officer with the U.S. Department of State from 1984 to 1992, serving primarily in Asia. She has M.A. and B.A. degrees from KU in East Asian Languages and Cultures and has studied in Zhengzhou and Taipei.